Today's swatches are also featuring my stash! Yay! Some time ago I did a post on my stash pics (which you can read about here), and it had a measly number of gel eyeliners. Well, since then, I've acquired a couple more, and now I can show them all off! Unfortunately, I'm not much of a bright colours person when it comes to eyeliner (or for that matter, makeup in general), but I swear, although they're almost all neutrals, they're all different! Also, most of you would probably already know this, but it's always a great idea to store your gel eyeliners upside down. This allows you to not only see the labels on the bottom of the pots (and thus save yourself the trouble of looking through your stash to find that one pot), but it also prevent the gel eyeliners from drying up so fast. I'm not sure how exactly, but it does seem to work for me. 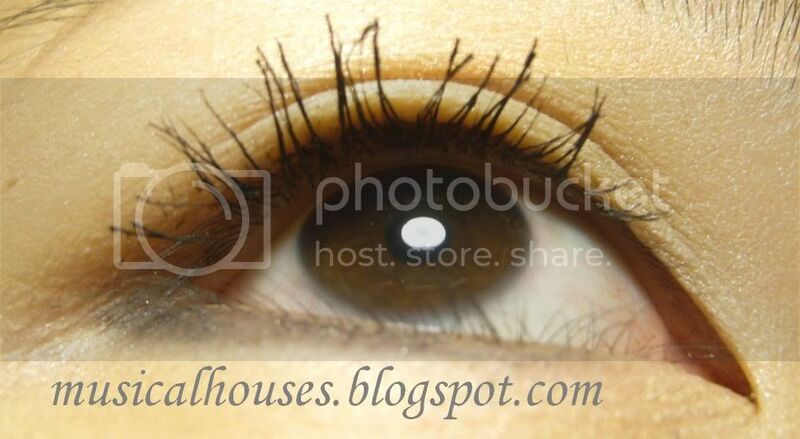 MAC Ostentatious is a neutral taupey brown that's not too cool-toned for warm-toned people. I actually expected this to be more grey, but it's more brown than anything else. It's not a brassy, bronzed, orangey brown though, it's a greyed out brown, the kind that I love. This one is really very work safe, and it doesn't have a hint of shimmer at all. I didn't like this as much as I should have - the pigmentation is not as good as the Bobbi Browns or the Stila, so with this particular colour you do have to go over the line a couple of times. It does last for awhile, but it does tend to get a little smudgy towards the end of the day - just a bit. Bobbi Brown Black Mauve is a purply-grey-brown, another one of those colours that I could have a million of and still love. It has just a hint of shimmer that disappears once on your skin. I was disappointed by the case of the disappearing shimmer though, it was the shimmer that really got me excited. This one looks less interesting on skin than in the pot, unfortunately. 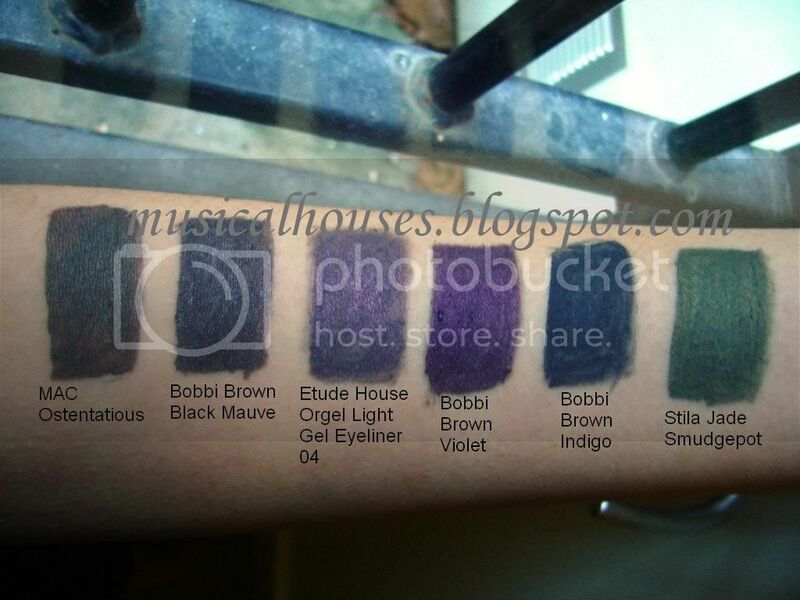 The texture is also great, but the one I have is the "newer" repackaged gel eyeliners, in the clear glass jars rather than in the frosted glass jars, and it doesn't seem as nice as the other Bobbi Browns I have. It does have good staying power though - I've no problems with this. Etude House Orgel Light Gel Eyeliner 04 (what is it with Asian brands giving their products ridiculously long names!?) is a beautiful, captivating colour - the kind you look at and just HAVE to have. It's a cross between a purple and a grey, with a really cool pink flash/duochrome to it. I LOVE THIS. It's neutral but interesting, and it's really glowly. Unfortunately, the texture of this is the driest out of all the gel eyeliners I have, and I attribute this to the terrible lousy packaging of Etude House. When I first got thi gel eyeliner, it was a little harder than my Bobbi Browns and MAC, but after a couple of uses it just slowly hardened. Now whenever I use it I have to dig my brush into it. Although the packaging doesn't keep the gel eyeliners moist, it does look really cute. I've included a few photos further down in this post, just so, you know, we can ooh and aah over the innate ability of Asian brands to be kawaii :P LOL OK I'm kidding, but the packaging is really very pretty, which is always a plus. Also the pigmentation on this is a little bit skippy, so you do have to go over your work again to really build up the colour. The good thing about it though, is that it stays forever on your skin. This colour is the most unique neutral I've ever seen in awhile, so I feel sad that it just had to be ruined by quality problems. I think it was also possibly limited edition, although I'm not certain. Bobbi Brown Violet is very very pretty, it's a muted deep purple violet with shimmer, and it doesn't lose any of it's oomph even when it's on your skin. And it' incredibly pigmented, and glides on like butter. It also stays on for a really long time without smudging. The one I have is in the older packaging though, and I'm not sure if that makes a difference. Bobbi Brown Indigo is blue, but it's not a screaming neon blue. It's a beautiful matte deep blue, more navy than indigo actually, since indigo implies that there is some purple to the colour, but this one has no purple at all. I'd have called it Navy instead, but I'm not Bobbi. Anyway, This one is also awesomely pigmented - you really only need to touch your brush to the surface - and also very smooth, and also really long lasting. 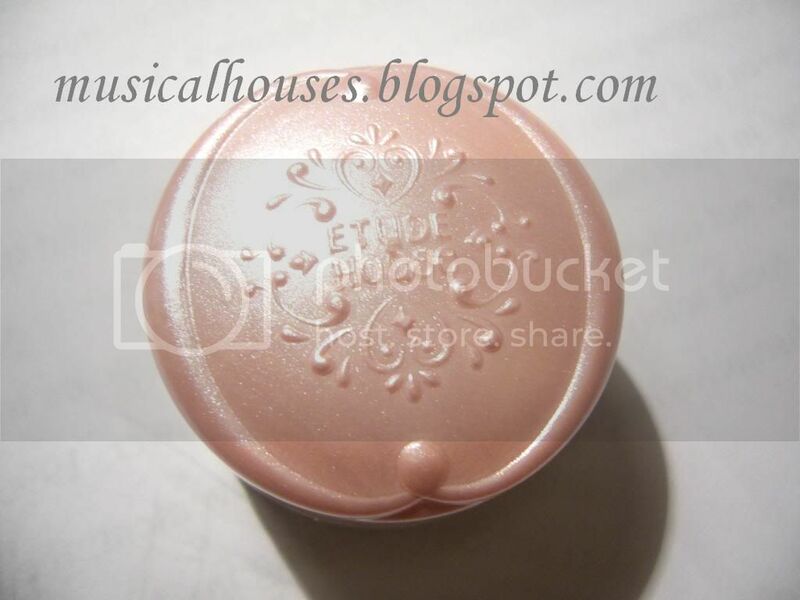 Last, but not least, Stila Jade Smudgepot. Now the Smudgepots are a bit of a hit-and-miss affair - some are really awesome, and some not so much. Fortunately, Jade is one of their better colours - very creamy, very pigmented, and really long lasting. I really like this a lot. It's also got gold shimmer in it which really amps up the colour. Beautiful. They call it Jade, but Jade to me conjures up images of minty green colours, no thanks to the ongoing Chanel Jade craze. Still, true Jade is indeed not really mint green but a bit deeper than that. I'd say this one is sort of a jade green with some emerald in it, because it really has that vibrancy of colour. Anyway, that was a really lengthly review, wasn't it? But I'm not done yet! I said I would show you the cute Etude House packaging right? Is that cute or what?! Cute pink plastic top (and they even put shimmer in the pink plastic! Talk about attention to detail!) with nice girly swirls and design...Unfortunately the pretty packaging doesn't do much to prevent drying up of the eyeliners - and I stored them upside down too! I'm so disappointed. Thanks for this post, it's really useful! I LOVE my Bobbi Brown gel liner as you can just whack it on without any base and it stays on all day which is great, I had Chocolate Ink but I sold it because it wouldn't show on my lids unless I had a base, the colour itself was really pigmented but it was practically the same colour as my lids so you couldn't see. I have three Stila smudgepots and I've only used the green one but the colour doesn't seem to work with me. I love Bobbi brown gel ink liners. The only shade I have not yet got is the black mauve. 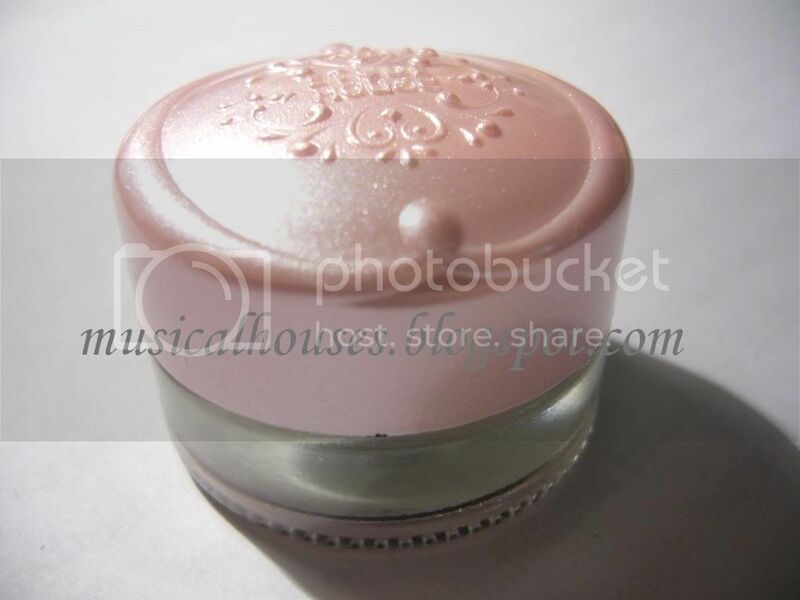 The etude house looks ever so cute, the cutest container I have ever seen..lol Etude usually have some gorgeous cute designs. Etude House's packaging is suppper cuute!